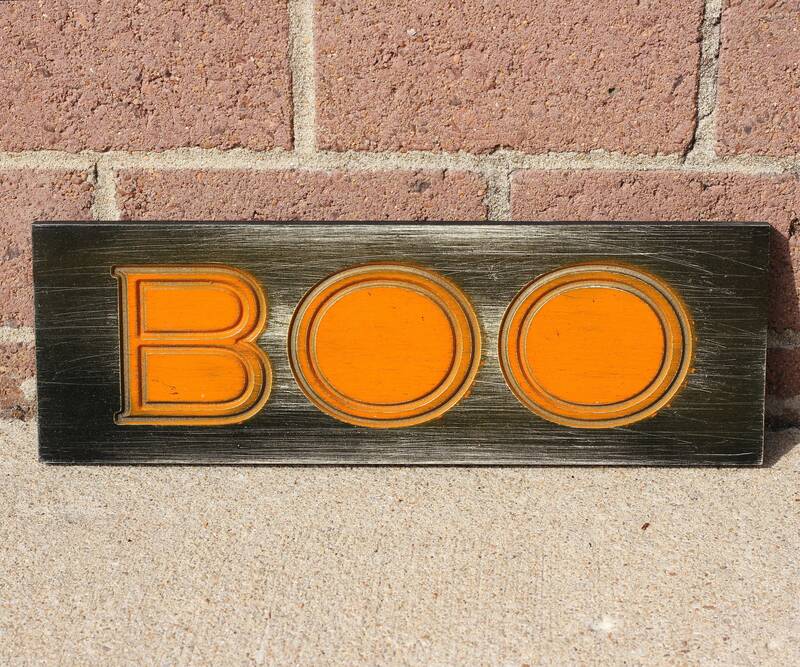 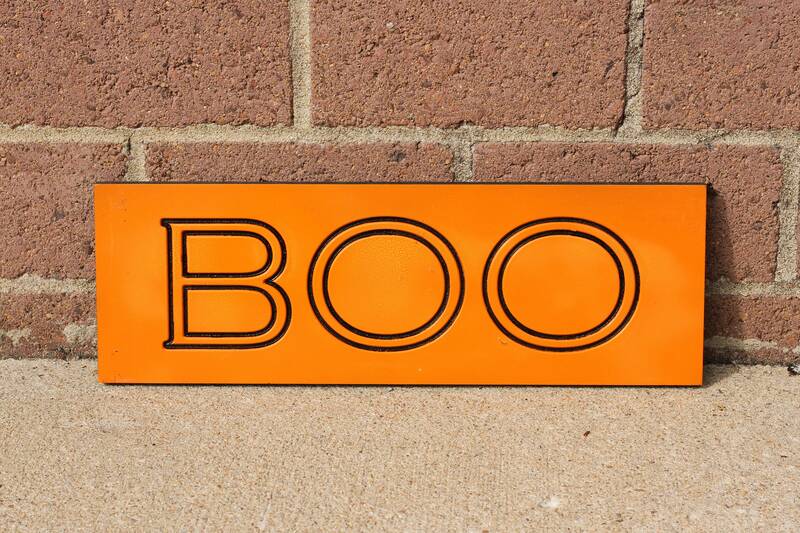 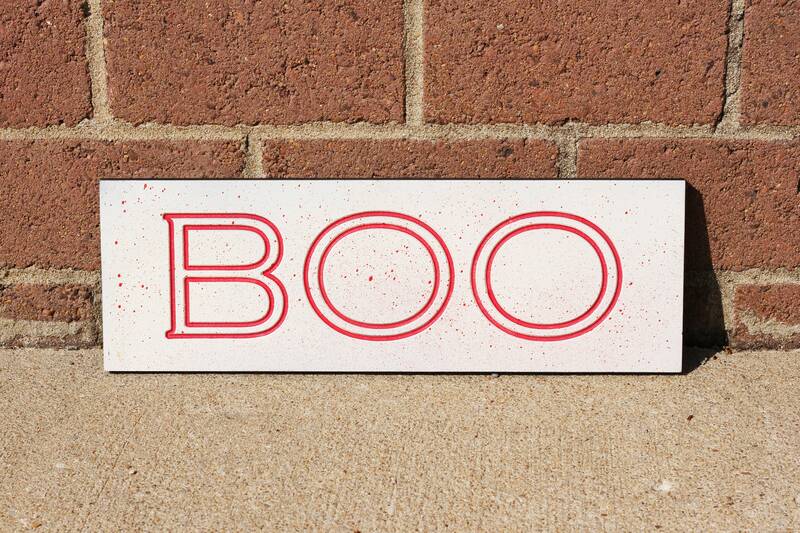 These simple boo signs are a great way to add a pop of color to your home's Halloween décor. 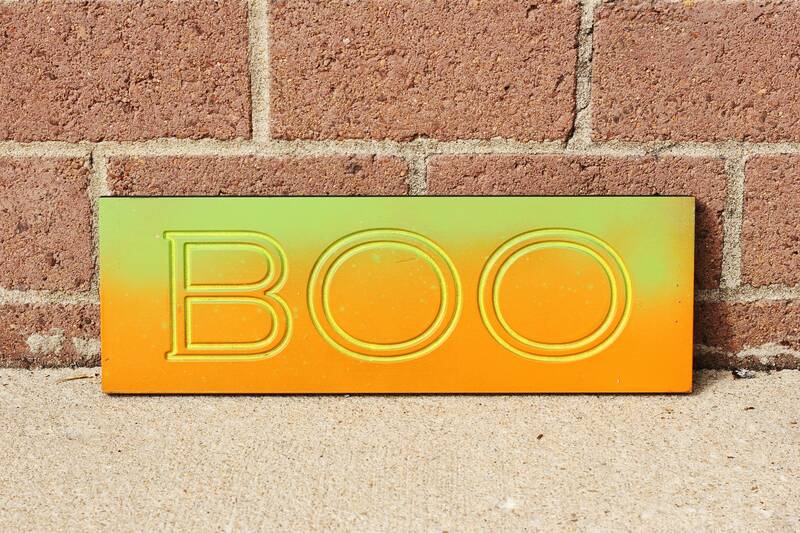 They come in an array of fun colors. 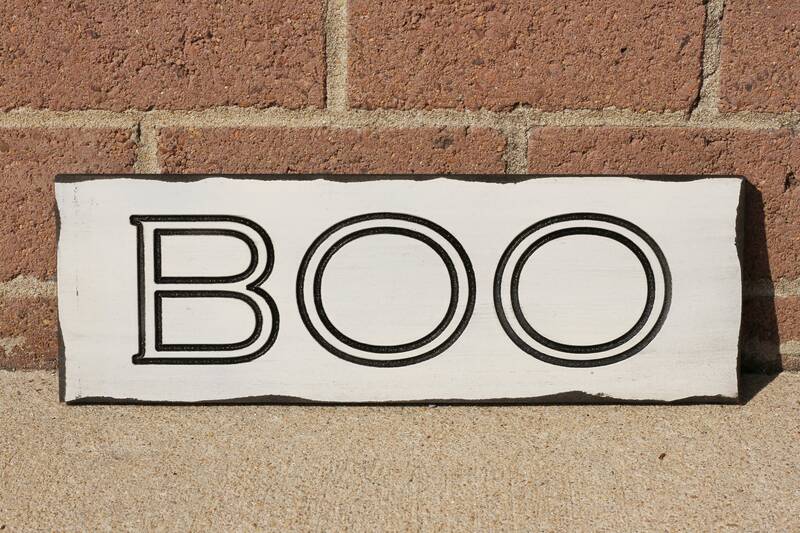 All of our décor and games are handcrafted and finished by local Kansas City artists so you know they are made with care every time. 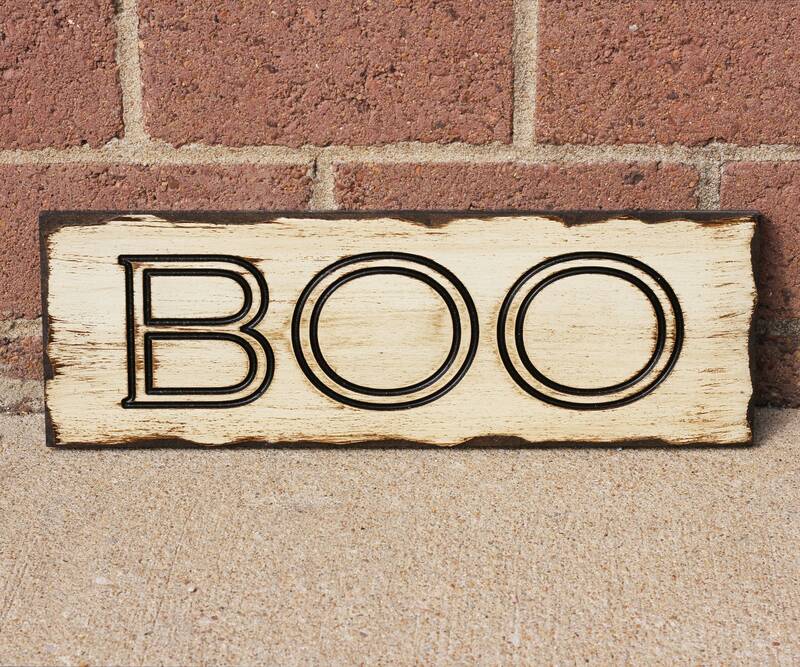 These signs are one of our few products that we don't offer customization, but we have more finishes available than we have listed so please feel free to ask us any questions!